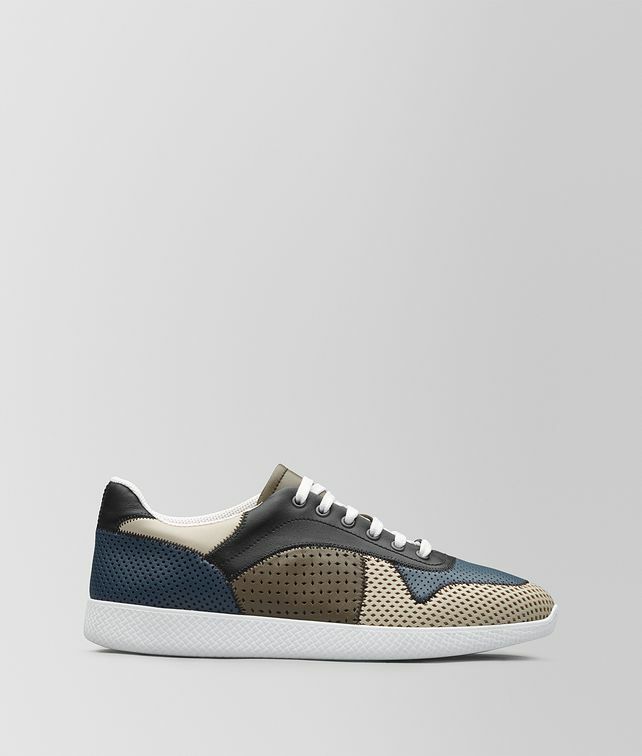 The new Lithe sneaker is crafted from supple calf leather and assembled entirely by hand through the process of connecting distinctive panels of leather. Each panel displays a unique colour and perforated finish and is bound by the house’s signature zigzag stitching. This style features subtle diamond-embossing at the sole that recalls the iconic intrecciato motif.